I love the fall and winter holiday season. Pumpkin spice is everywhere, the leaves on the trees in Wisconsin are gorgeous, Christmas music is on the radio non-stop and I have an easy excuse to bake and decorate cookies until my hands go numb! I went balls to the wall decorating sugar cookies this year and the effort really paid off. I’m not a fan of royal icing (both making it and the taste), so these cookies are decorated with a simple corn syrup/powdered sugar glaze. You follow the same procedure, with outlining using a stiffer consistency icing, and then going back and flooding with a thinner consistency. I’ve left the directions intentionally vague because it should be up to you on the cutters, colors and decorations you use (see more examples below!). 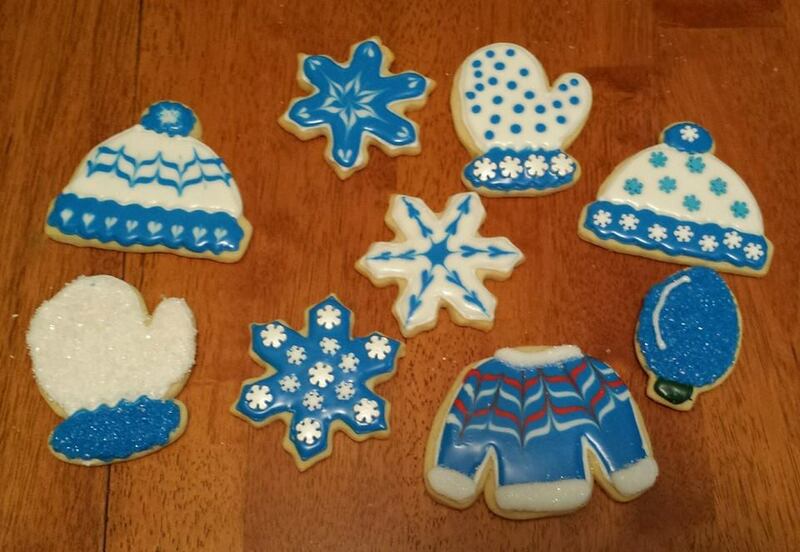 The cookie and icing recipe are tried and true, so use them for any occasion! 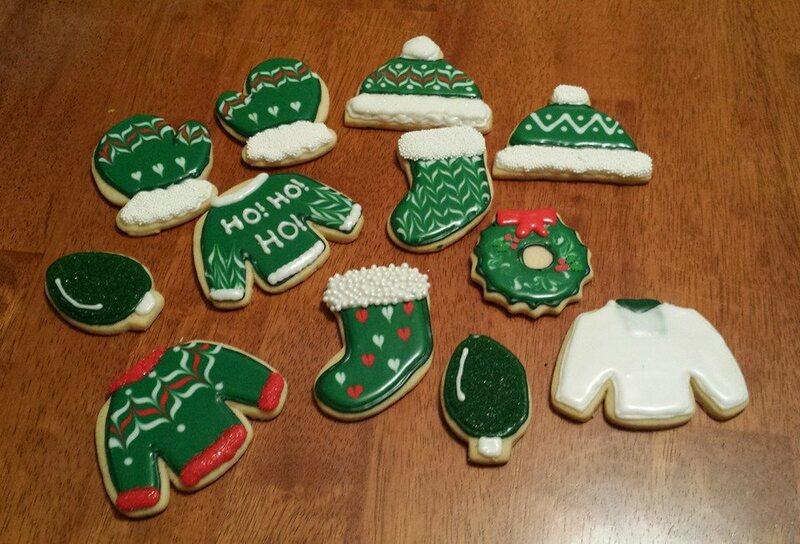 Fair warning, the entire process takes about 6 hours and I recommend making the cookies on one day and then decorating the next, otherwise by the time you get to flooding the cookies you’ll be so sick of looking at them that you’ll just want to rush to get them done. This technique requires lots of time and patience. In a medium bowl, cream together the butter and sugar. Stir in the eggs and vanilla. Combine the flour, baking powder and salt, stir into the creamed mixture until dough comes together. Split dough in half and shape each half into a disc. Wrap each disc in plastic wrap and chill for at least 2 hours. Remove one disc at a time and roll out to desired thickness. Cut with cookie cutters, then chill in freezer for 10 minutes. Bake cookies 10 to 12 minutes in the preheated oven, until bottom is light brown. Remove from baking sheets to cool on wire racks. Makes 40-50 cutouts at 1/8″ thickness.